Hale spent most of her $3,046 on advertising as well, with $645 going to The Oconee Enterprise, $260 to The Oconee Leader, and $1,405 for office supplies and signs. Wilkes spent $8,261 after the May 20 primary, compared with only $1,189 by Hale. Wilkes went from his second place finish with 37.6 percent of the vote in May to the first place finish with 51.2 percent on July 22. 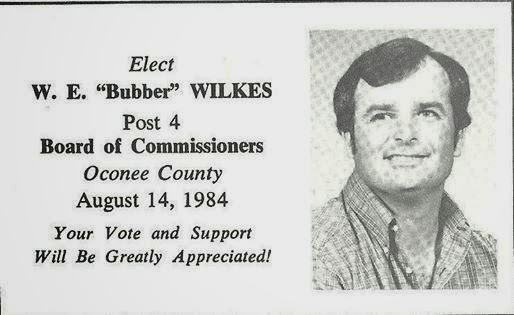 Because no Democrat filed for the race, Wilkes will be listed alone on the ballot in November for the Post 3 Commission spot, giving him a commission seat again after a 10-year absence. Wilkes reported in his required Georgia Contribution Disclosure Report that the bulk of his campaign donations, $7,075, came from small contributions of $100 or less. Contributions of that size do not have to be itemized. Wilkes received donations of $800 from Larry Benson, owner of Benson Bakery in Bogart, $500 from the Georgia Realtors Political Action Committee, and $200 from Charles Rowland, no address given. Wilkes lent his campaign $3,000 from his own funds. Hale reported receiving $1,135 in contributions of $100 or less, $1,150 from Stephen Draper, an engineer in Atlanta, $500 from New Power Pac, a women’s group in Decatur, and $250 from fellow Commissioner Jim Luke. The reports were filed in July, before the runoff. Additional reports must be filed as the year progresses. Wilkes, a retired farmer, indicated that his home and the two acres on which it is built are worth between $100,000 and $200,000 and that his 70-acre farm is worth more than $200,000. Wilkes and his wife live at 1061 Flat Rock Road south of Watkinsville. County Attorney Daniel Haygood told me in an email message today that Wilkes will be paid $26,510.30 during his first year as a commissioner, starting in January. The salary for members of the Board of Commissioners varies, based on the amount of time they have served. Commissioners also are eligible for coverage on the county health plan. Hale and Wilkes were forced into the July 22 runoff because neither got more than 50 percent of the vote in the May 20 primary. Maria Caudill, the third candidate in the Republic primary for the Post 3 Commission slot, spent just less than $6,000, or half what Wilkes spent but double what Hale spent. Caudill received $500 from Benson of Benson Bakery, $200 from Jay Campbell of 1381 Broadlands Drive, $100 from Tammy Gilland of 1010 Hardwood Court, and $100 from Robert Wyatt of 1090 Apalachee Trace. Her husband contributed $1,227, and she contributed $1,000 to her campaign. John Daniell, who defeated John Larkin in the May 20 Republican Primary to retain his Post 2 position on the Board of Commissioners, did not file a campaign contribution disclosure report, according to Carole Amos, administrative assistant and deputy registrar with the Oconee County Board of Elections and Registration. Daniell was exempt, Amos said, because he did not raise or spend more than $2,500. Larkin raised and spent just more than $2,700, according to his disclosure report. Larkin received $300 from Benson, $250 from Brad and Kimberly Bunting of 1140 Scotland Bend, and $250 from Brian Brooks of 1201 Queens Row. Daniell is unopposed on the November ballot. 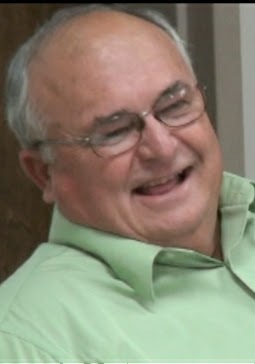 The amount of money Wilkes spent to regain a seat on the Commission not only was significantly more than Caudill and Hale spent combined, it also was more than either BOC Chairman Melvin Davis or challenger Chuck Horton spent in the 2012 Republican Party primary for the BOC chair position. Davis spent just less than $7,200 in that contest, while Horton, then a member of the Commission, spent $11,400, according to their campaign spending reports. Horton had defeated Wilkes in 2004, ending Wilkes' 20 year-term on the Commission.